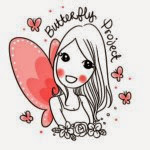 Psst..... Want to know my beauty secret? Well, I apply face mask pretty often. Face mask is one my favourite skin care products as it's easy to apply and deliver awesome results. 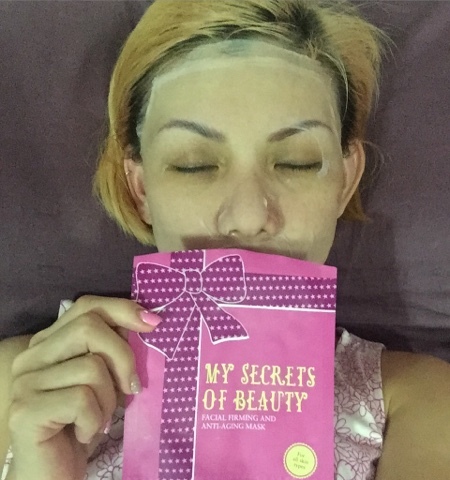 I was introduced to a new brand 'My Secrets of Beauty' facial mask recently. 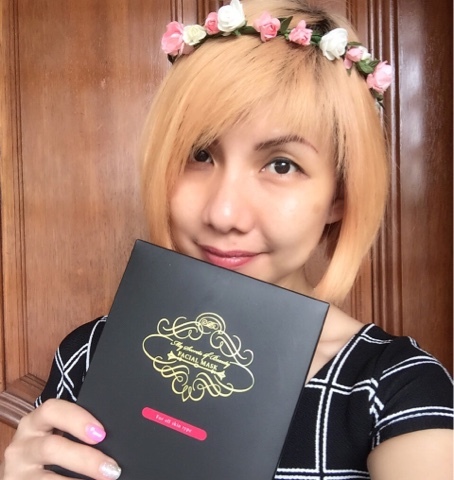 Upon unboxing the luxurious box of mask, I can't stop admiring how colourful and sweet the packaging of the mask. The hydrating mask with an unique small molecule technology to enable rapid penetration and strong absorption. It helps improve skin's moisture locking and retention ability while nourishing the skin. Ingredients : Aqua, vegetable glycerine, hyaluronic acid, glyceryl polymethacrylate, arbutin, hydroxyethylcellulose, creamed 3, diazolidinyl urea, PEG-40 hydrogenated castor oil, fragrances. Verdict : The mask has a refreshing sensation, leaving my skin feeling soft, moist and supple while replenishing essential skin nutrients. The brightening mask is enriched with skin whitening trace elements to treat and prevent pigmentation. It also revives dull and tired skin while restoring, whiten and brighten the skin. 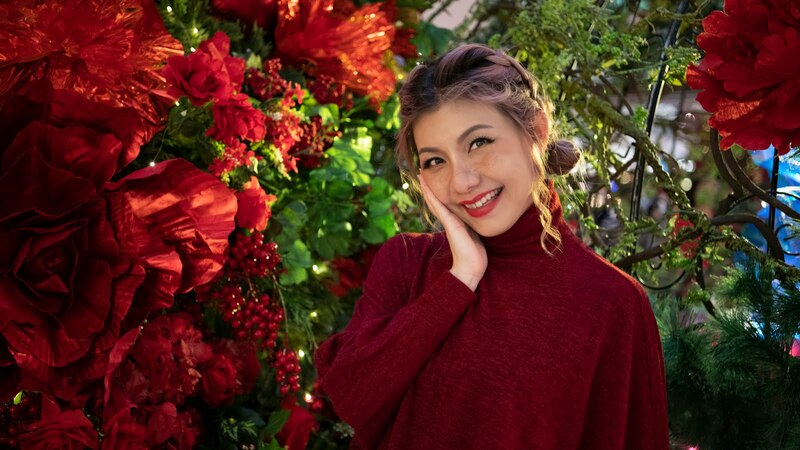 Ingredients : Deionised water, snow lotus extract, hydrolysed silk protein, vitamin C, sodium carbomer, hyaluronic acid yellow collagen, fragrances. Verdict : With only one application, my complexion visibly brighten, hydrate and more even skin tone. No more dull and tired skin, perfect pick me up. 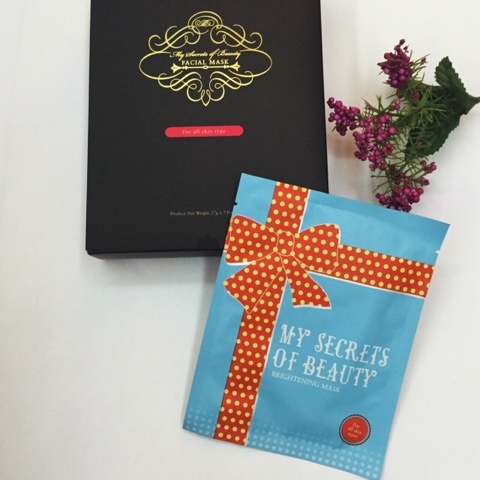 The firming and anti-aging mask replenishes collagen, improve overall skin elasticity and prevents signs of aging. Ingredients : Aqua, arginine PCA, tranexamic acid, hyaluronic acid, yellow collagen, tocopherol (Vitamin E), bisabolol, PEG-40 hydrogenated castor oil, allantoin, dipotassium glycyrrhizate, EDTA disodium diazolidinyl urea, fragrances. The soft silk facial mask is thin and lightweight for excellent skin breathability. Cleanse face before putting on the mask. 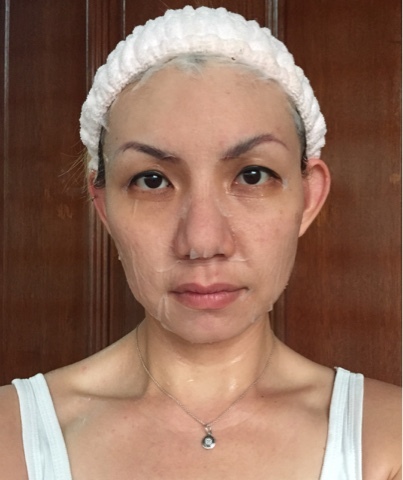 Gently apply the soft transparent silk facial mask. 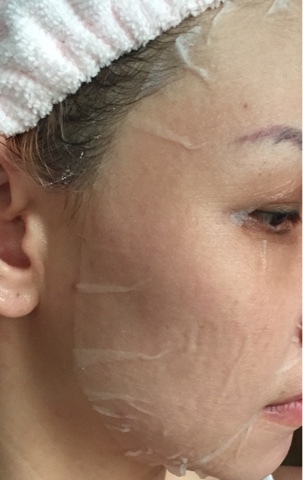 Once the mask has been applied, gently peel off the shiny layer. Leave mask on for around 20 minutes. Remove mask and massage the essence into your skin for complete absorption. The mask is transparent and sticks extremely well to the skin feeling like second layer of skin. 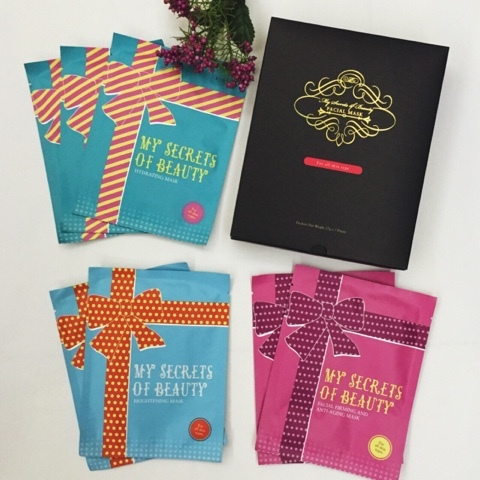 My Secrets of Beauty (MSB) 7 Days Face Mask Pack (3 pieces of Hydrating Masks, 2 pieces of Brightening Mask and 2 pieces of Facial Firming and Anti-Aging Mask) is suitable for all skin types and will be available starting from 1st March 2016. 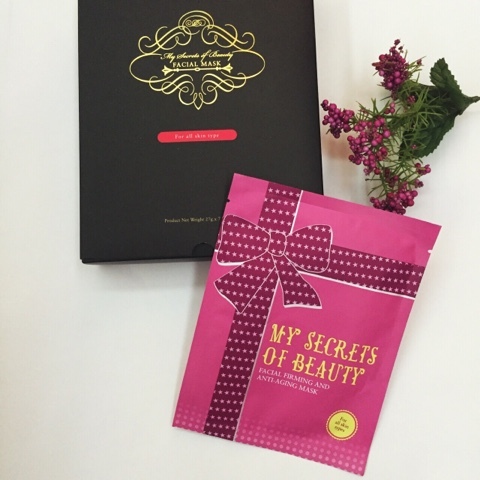 MSB mask is formulated in France and made in Hong Kong, truly live up to my expectation.